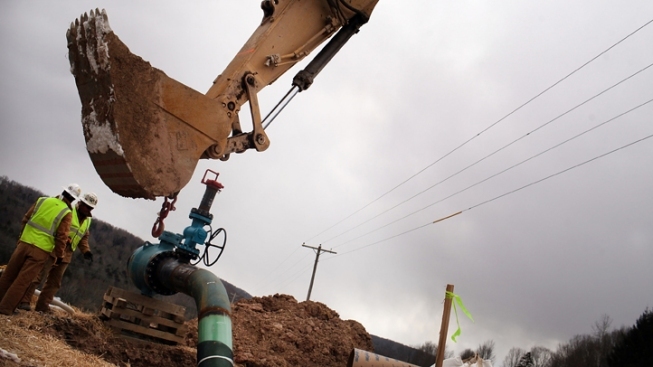 A new state report says Pennsylvania's natural gas industry remained a relatively small contributor of air pollution in 2012 from industrial facilities, despite including more compressor stations than 2011. The Department of Environmental Protection released the data Thursday. Overall, the amount of pollution from industrial facilities dropped in 2012, and the department said that was at least in part because of increased natural gas use. The natural gas industry emitted 10 percent of nitrogen oxides, 21 percent of volatile organic compounds and 9 percent of carbon monoxide from all industrial sources. The industry's data came from 8,800 natural gas wells and 400 compressor stations that receive oil and natural gas. “It is important to note that across-the-board emission reductions in emissions can be attributed to the steady rise in the production and development of natural gas, the greater use of natural gas, lower allowable emissions limits, installation of control technology and the deactivation of certain sources,” said DEP Secretary Chris Abruzzo. The survey didn't account for emissions from cars and trucks, the single largest source of air pollution.